Celebrate a special occasion with this gorgeous and perfectly presented Calathea Plant. Perfect for Birthdays, this gorgeous plant comes with a free box of Valley Chocolates. 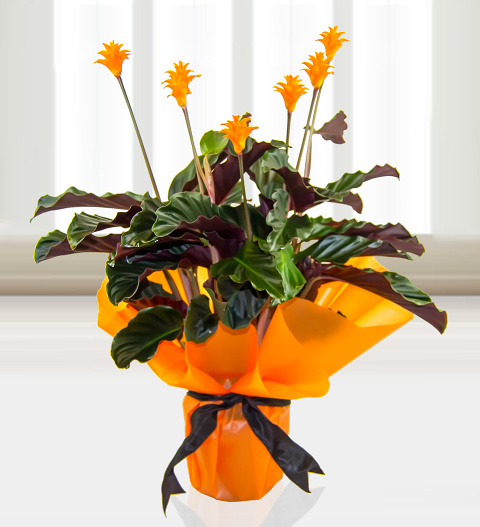 This lovely plant is beautifully autumnal and sure to make your lucky recipient smile. Whether it is for a special occasion such as a birthday or anniversary, we are sure this plant will delight. Chocolates may contain nuts.